The German Australian Business Council’s special summer networking event revolved around art, design and beauty. For the first time, GABC expanded its scope by venturing into New Zealand territory. 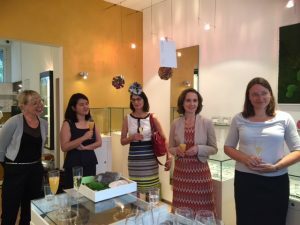 The event took place in our member Rena Jarosewitsch’s jewellery gallery, atelier and shop in Frankfurt, called feinform. It was indeed a pleasant, inspiring and much appreciated evening. 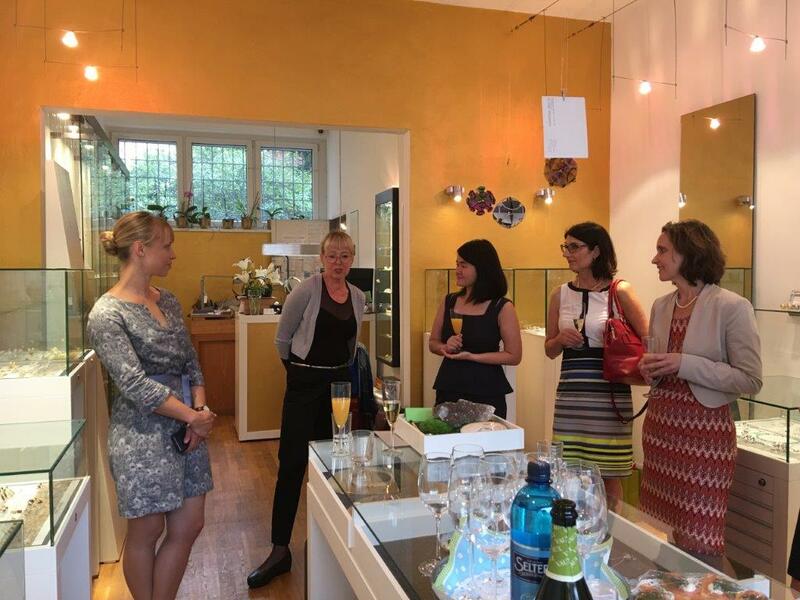 GABC members and friends eagerly listened to Rena’s fascinating story, taking her all the way to New Zealand where she worked over a decade as a glass artist. Back in Germany, Rena switched careers to specialise in jewellery design: two distinct crafts with overlapping traits such as work with light and reflections. Rena has featured in various exhibitions around the world. 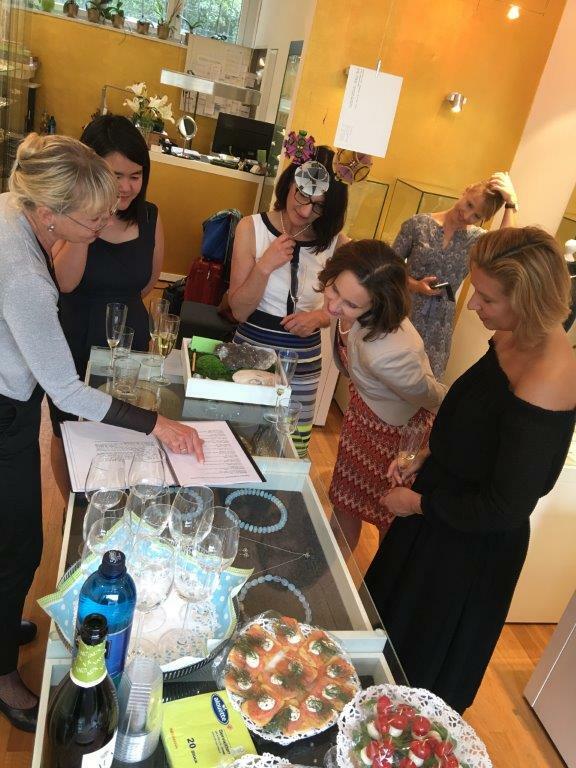 Guests learnt about the craft of jewellery design whilst admiring Rena’s own beautiful collection, as well as those of her other national and international colleagues. It was also a perfect opportunity to discuss and network while enjoying a glass of delicious Australian wine. An all-round successful evening!